All entry taxes and service charges for the mentioned in the itinerary sites. Arrival in Sofia. 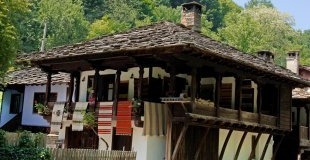 Transfer to Koprivshtitsa, accommodation at a local hotel or a country house. Sightseeing tour. Koprivshtitsa is a world famous folk festival centre, representing the typical atmosphere and architectural style of the Bulgarian National Revival period of the 19th century. The town was one of the centres of the April Uprising in 1876 and it was here that the first shot against the Ottoman occupation was fired. 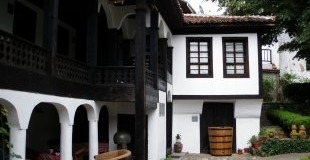 Visit to some of the most beautiful museum-houses in Koprivshtitsa: Oslekov`s House, which is nowadays an ethnographic museum; Dormition of the Virgin Church built in 1817, Kableshkov`s House, etc. Free time for a walk in the cozy cobbled streets of Koprivshtitsa. Overnight in Koprivshtitsa. Breakfast. Drive to Kazanlak. Visit to the Ethnographic Complex and the unique Thracian Tomb, which dates back to the 4th century BC and is included in UNESCO World Heritage List. Its murals and paintings are Bulgaria`s best preserved artistic masterpieces from the Hellenistic period. Drive to Gabrovo via Shipka Pass. Visit to the Open-Air Museum Etara. The park features typical Bulgarian Revival houses and tourists are able to see how locals use original old instruments in crafts such as wood carving, pottery, coppersmith, needlework, etc. Drive to the village of Bozhentsi, declared as an architectural reserve. 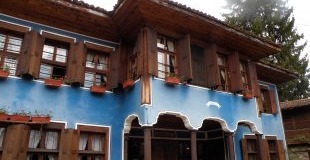 Accommodation and overnight in Bozhentsi. Traditional Bozhentsi breakfast. 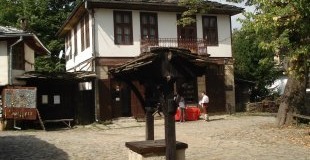 Visit to some of the old museum houses in the village and departure for the town of Tryavna. Sightseeing tour of the town - the town square with the Clock Tower, the Old School, Daskalova Museum House. In the afternoon departure for the village of Arbanassi, famous for its well preserved 17th and 18th century churches and the typical Revival architecture of its houses. On the way stop in Dryanovo and visit of Dryanovo Monastery. Accommodation in Arbanassi, overnight. Breakfast. Sightseeing tour of Arbanassi - visit to Konstantsalieva House and some of the old churches. Drive to Veliko Tarnovo. Visit to the historical Tsarevets Hill, which served as a primary fortress of the capital town during the Second Bulgarian Kingdom. Upon request - wine tasting in the town of Lyaskovets. Drive back to Veliko Tarnovo, free time at the old Samovodska Street. Drive back to Arbanassi and overnight. Breakfast. Departure for Lovech. 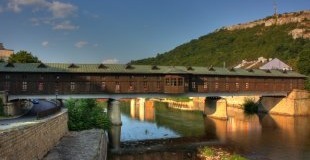 Sightseeing of the famous Covered Bridge and the old quarter Varosha. 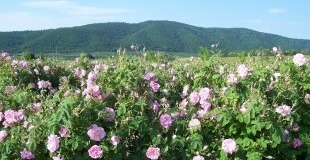 Drive to the town of Troyan and the village of Oreshak. Visit to Troyan Monastery and the National Exhibition of Folk Crafts and Applied Arts in the village of Oreshak. 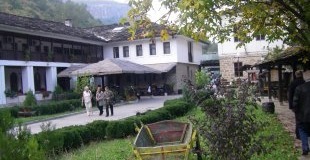 Accommodation in Lovech or Troyan. Overnight. Breakfast. Drive to Sofia. Sightseeing tour of Sofia with a visit to the National Ethnographic Museum and Boyana Church, included in the UNESCO World Heritage List. Visit to Alexander Nevski Cathedral - one of the largest Eastern Orthodox cathedrals in Europe, as well as one of Sofia`s symbols and primary tourist attractions; St. George Rotunda, St. Sophia Church, built by emperor Justinian in the 6th century, National Theatre, former Royal Palace, Presidency, etc. Accommodation. Upon request, evening panoramic tour "Sofia by night" and dinner at a traditional restaurant with folklore music and dances. Overnight in Sofia.